The old village of Sospel on the Bevera River in Provence, France in Europe. ... Visitors to Sospel in Provence should go the short distance to Fort St. Roche on the Maginot Line and tour the Musee de la Resistance. 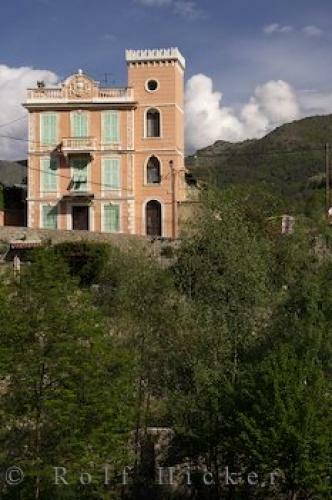 This museum depicts the courageous actions of the Resistance movement local people during World War ll.Village of Sospel, Alpes Maritimes, Provence, France, Europe. I photographed this photo with the digital SLR camera model Canon EOS-1Ds Mark II, aperture of f/5.0, exposure time of 1/640 sec. on ISO 100, as always I used a original Canon Lens, the focus lenght for this picture was 70mm.